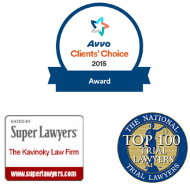 One of my first clients at the Kavinoky Law Firm was an older gentleman with a spotless record. He learned his 40 year old daughter had terminal Stage IV ovarian cancer, and he became inconsolably distressed. In a very out of character moment, he had quite a bit to drink and crashed his car in plain view of a police officer. He was arrested with a .23 BAC. The true tragedy was that he was needed to drive his sick daughter to her chemo treatments to try to help save her life. The firm took his case and against all odds won his DMV hearing, allowing him to continue driving his daughter to her treatment. That was the moment I knew I was working at a special place where the client’s individual needs and situation are taken into account and hope is fostered even when the situation seems bleak. I still speak to this former client to this day and am glad to say his daughter is and continues to be in remission.